Limited Availability - Only 5 left! - There is wonder in the world, and you are a part of it! Don't ever doubt that "Magic Happens". This gorgeous full-color bumper sticker measures 2 3/4" by 11", and is reposition-able (can be temporarily repositioned during application). 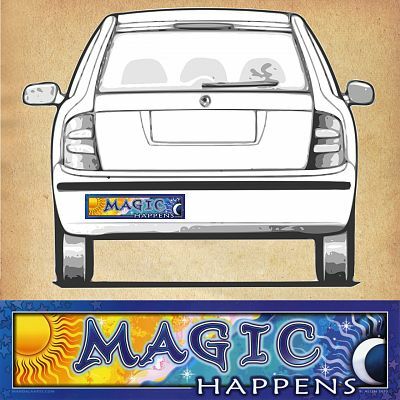 Do you have any other questions about our Magic - Bumper Sticker?